A hallmark of the Fordham Advent season is our annual Gaudete Sunday celebration. 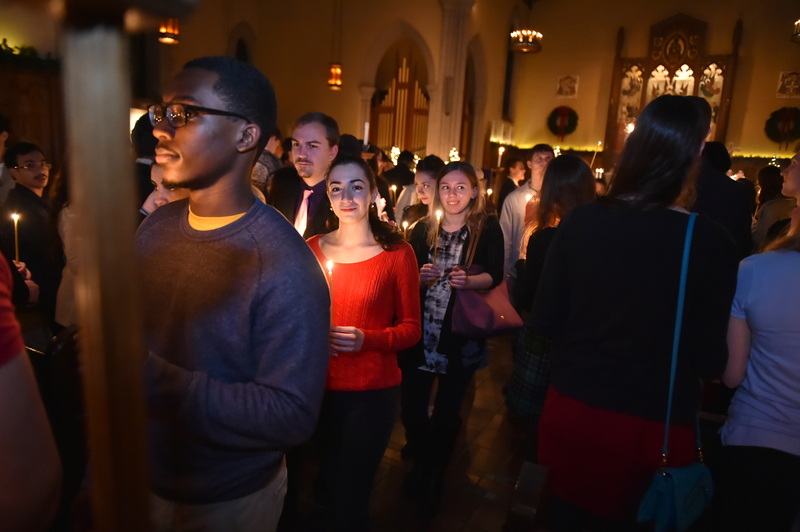 Gaudete means “rejoice” in Latin, and our Gaudete Sunday Mass and Tree Lighting is the perfect time to rejoice before settling into finals period. Gaudete Sunday at Rose Hill will begin at 7:00 pm and include Mass celebrated by Fr. McShane at the University Church, a tree and menorah lighting, and a reception with snacks in Bepler Commons. If you’re at the Lincoln Center Campus, head over to Blessed Rupert Mayer, SJ, Chapel at 7:00 pm for Mass! 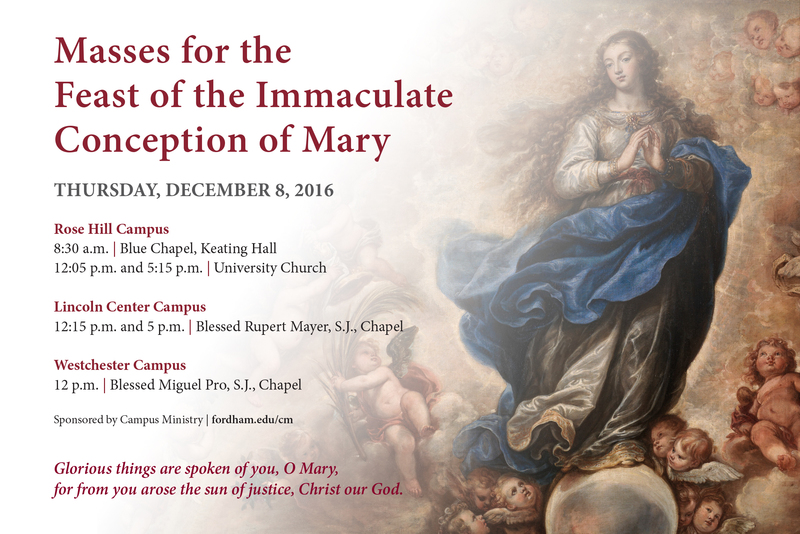 See below for the Fordham University Mass Schedule on the Feast of the Immaculate Conception of Mary! Are you interested in the immigration crisis? Causes for children? Come watch the moving documentary Posada which tells the stories of unaccompanied immigrant children from Mexico. Learn about their journeys, and the traditional Mexican Advent processions “Las Posadas”. Join us on Wednesday, December 7th at 6 pm in the Ignatius Room to watch and discuss. 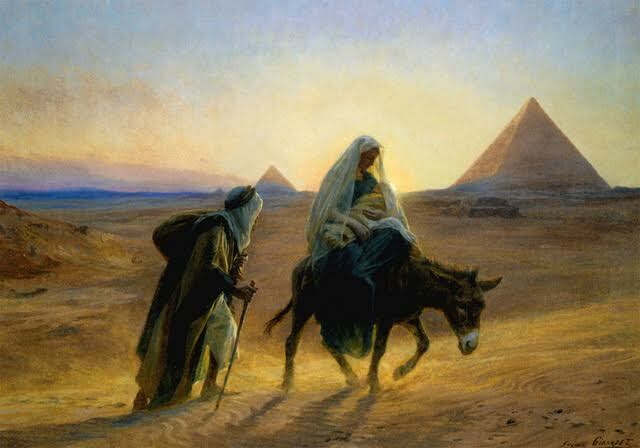 Advent is the perfect time to reflect on our journeys: in faith, in love, and in life. By reflecting on the journeys of immigrants and refugees, we open our hearts to the spirit of the season.